Many people view purchasing a new mattress as a frustrating and overwhelming experience. However, it does not have to be if a person knows what they are doing. With the number of options today, it is very hard for individuals to determine what type of mattress is best for them. However, a latex mattress is usually the optimal choice. There are a number of reasons why a latex mattress is perfect for every bed. With latex mattresses, people can sleep soundly knowing that they have a bed that is comfortable and provides support for a good night sleep. At the same time, these mattresses have numerous features that help them hold their shape much longer without the need for springs. This allows the mattress to conform to a person’s body shape. With this, it can support the back while providing them with quality sleep every night. Another health benefit of a latex mattress is its anti-fungal and hypoallergenic properties. Latex mattresses are not made from materials that can attract mites and dust that can cause allergies. They are also anti-microbial to inhibit the growth of mildew, mold and bacteria. 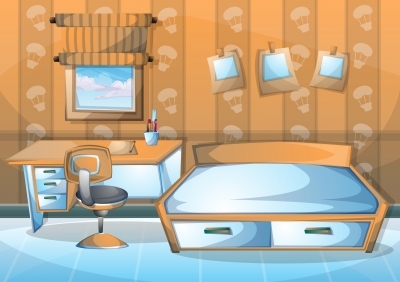 A latex mattress is a very good choice for the environment. This is because latex mattresses are made from rubber tree sap. This single factor alone makes them fully biodegradable. At the same time, they do not contain any materials that are produced with fumes and synthetic chemicals. These components can be unhealthy for both the person sleeping on the mattress and the environment. 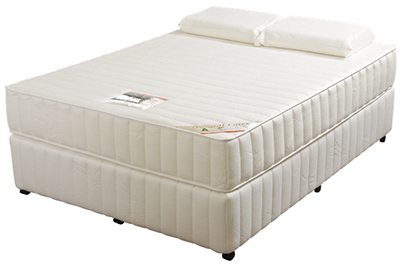 Durability is also an important factor that makes a latex mattress stand out from competitors. A regular mattress will only last about six to twelve years even with proper care. With this, people will end up replacing their mattress with a new one every few years. Although they might cost a bit more, a latex mattress will last much longer. A high-quality latex mattress can last for 25 years before a replacement needs to be purchased. This provides owners with huge amounts of savings. With a wide range of bed sizes available on the market, there should be many different mattresses to choose from too. Latex mattresses come in an array of bed sizes. They are also easy to customize as well. This makes them perfect for boats and RVs. They also come in different forms that include pillow and mattress combinations. In this way, people can get a whole new experience both for their health and sleeping comfort. Latex mattresses offer a unique temperature neutral design that has a highly breathable cell structure. With this, it is extremely rare to find people complaining of being too hot while sleeping on a 100 percent natural latex mattress. These features also help a latex mattress disperse heat and circulate air much more easily than a memory foam mattress. My search for a cost-effective bed may soon be over. I found this cozy-looking bed made of box.